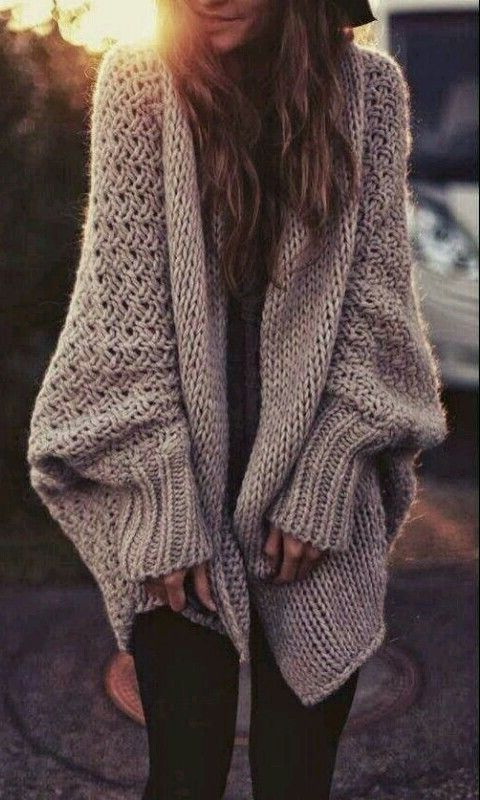 Cardigan is one of the best layers you can wear during transitional weather. 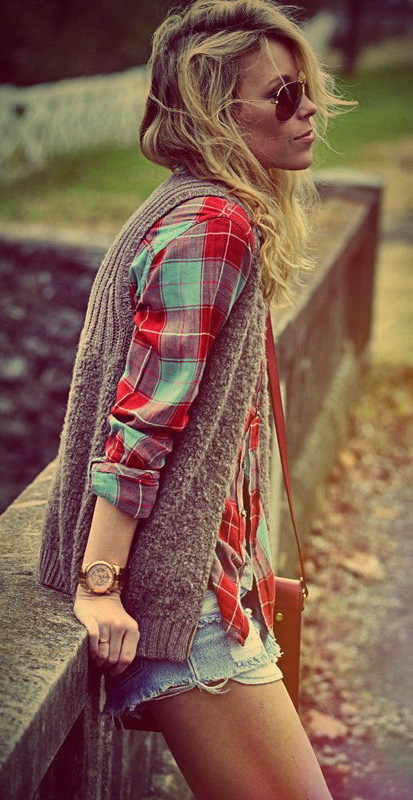 In today’s article I want to share with you 25 ways how to wear a cardigan and look awesome. Of course, you might say this is not the most exciting piece of clothing in your wardrobe, but you can make it look stylish, if you know how to do it right. 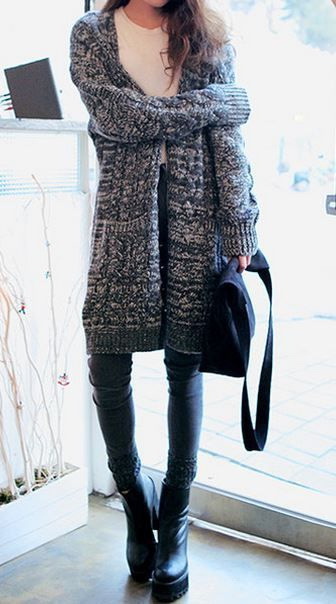 A ribbed knit gray-beige loose-fit cardigan looks impressively chic worn atop black separates. It gently covers your shoulders, back and arms, while revealing your front side top. Cardigans comes in various fabrics, starting from cotton, wool and mohair to super thin cashmere, angora knits and silk blend. Personally, I think cardigans are very flattering. All you need is to choose the right length. I think the best length is the one that hits mid hips or the bum. Be careful, some cardis look grannyish, that’s why you better wear them with modern tops or dresses. Lots of cardigans do not have buttons, that’s why women tend to complete them with belts. Below, are showcased my favorite ways how to make cardigans look fresh, ladylike and chic on you.